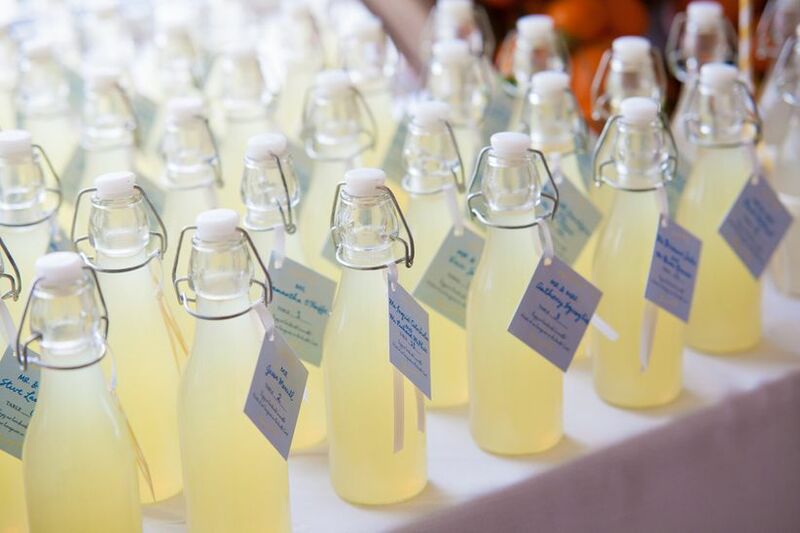 We've rounded up a few longstanding wedding customs you can put a personal twist on. After all, rules were made to be broken right? 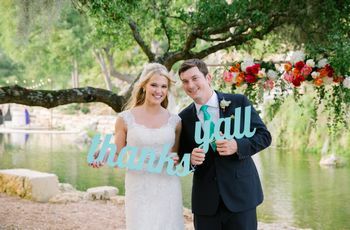 There are dozens of wedding traditions that couples have been abiding by for decades. 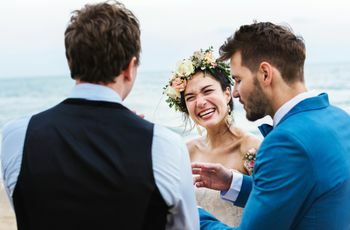 While these traditions may be sentimental for some, they're by no means hard-and-fast rules to structure your day around. 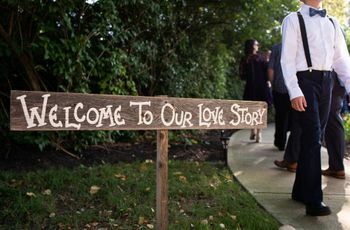 So we've rounded up a few longstanding wedding customs you can put a personal twist on. After all, rules were made to be broken right? 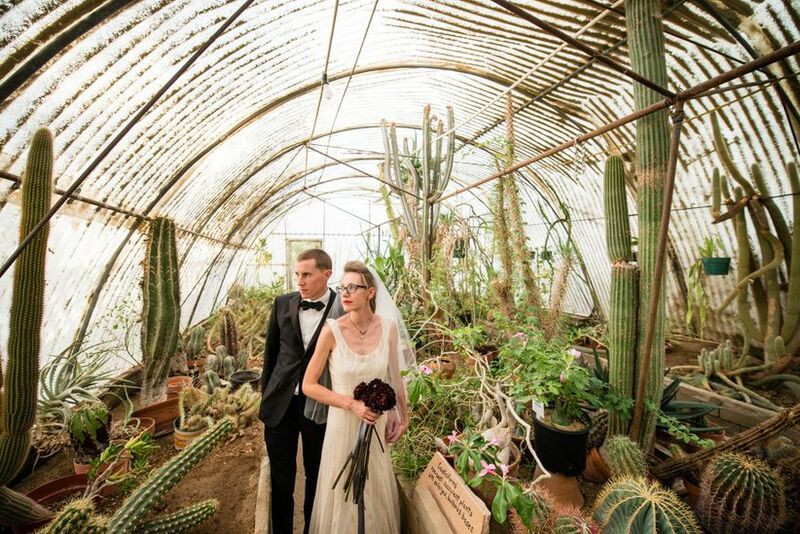 This couple celebrated their nuptials at a cactarium in Palm Springs, California. Talk about a unique reception! 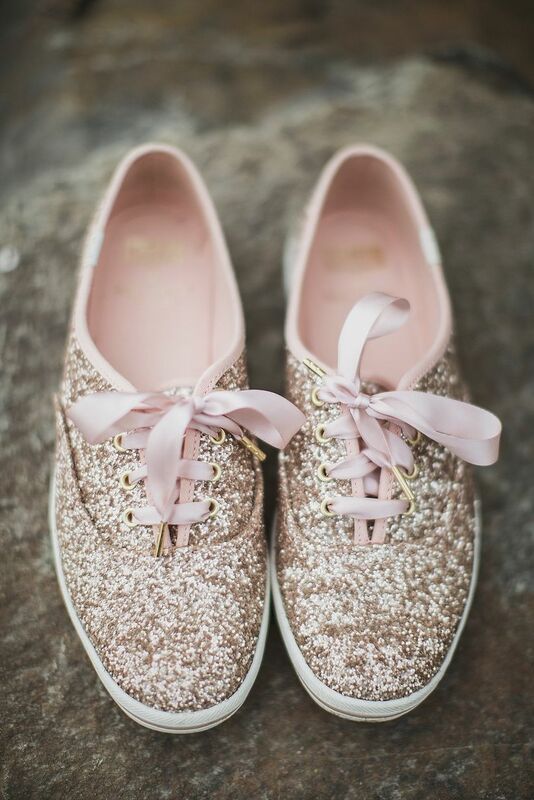 Sparkly sneakers are fine by us! 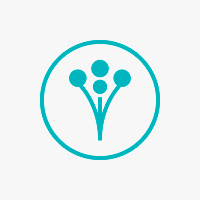 Not a big flower person? Not a problem. 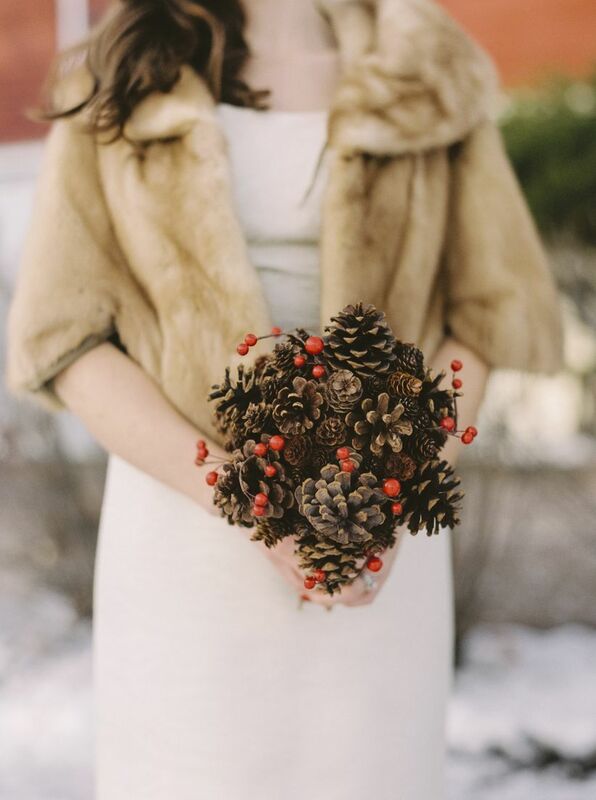 Carry an arrangement of pinecones and hypericum berries instead! Give out your favorite beverage or another fun item that can double as a favor and guide guests to their seats. 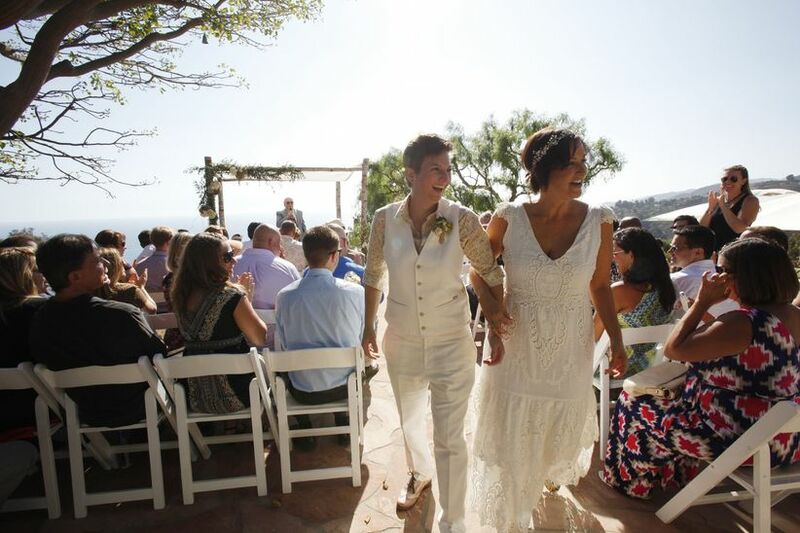 We love that the bride on the left opted for a clean and crisp pants and vest look over a traditional gown. 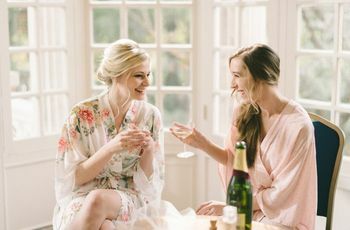 Brunch weddings are on the rise! 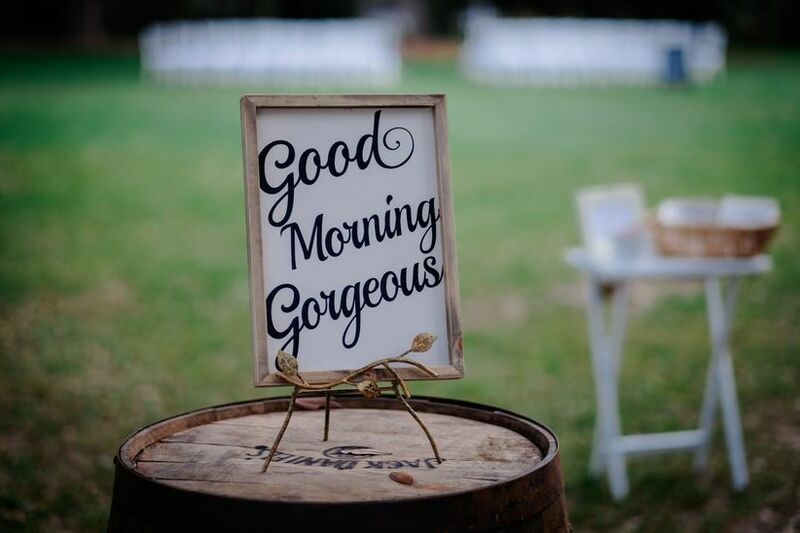 Get married at sunrise and then offer a brunch reception complete with everything from pancakes, bacon, and of course, mimosas. Have them sign records or a framed picture you can hang in your home. 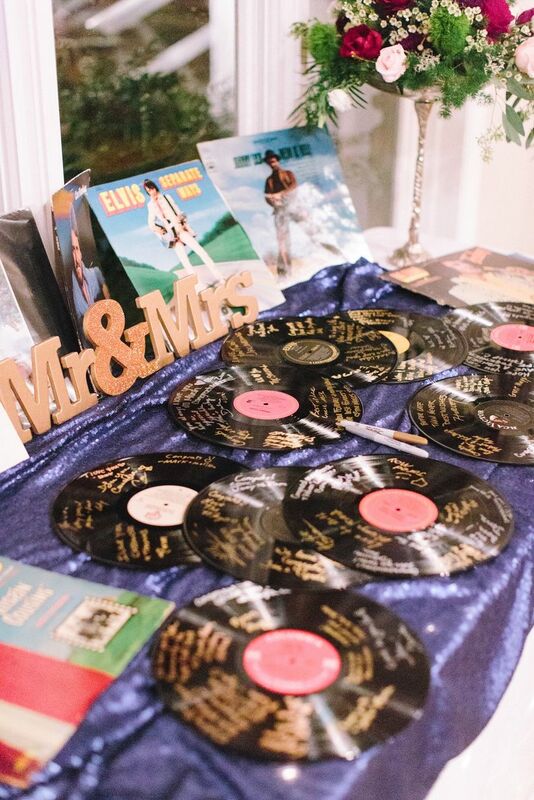 Anything that feels authentic to you and your future spouse can be made into a guestbook. 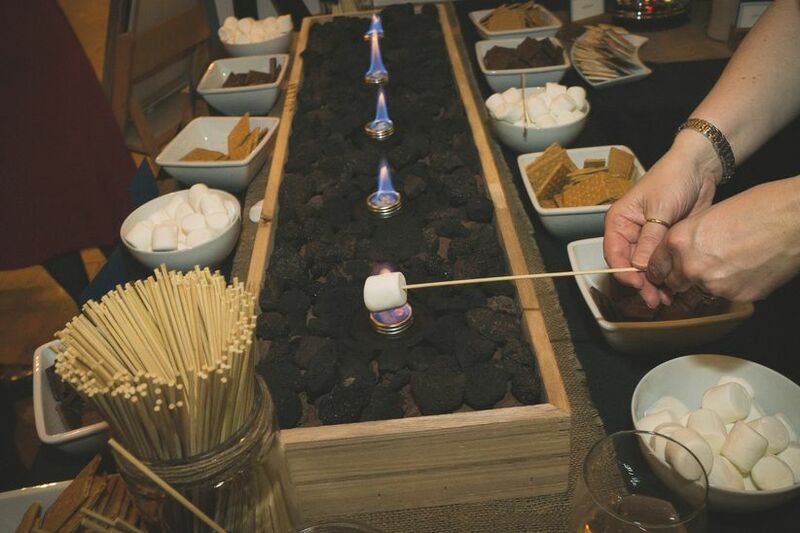 Build a s’mores bar for guests to huddle around after dinner—it doubles as entertainment and a fun dessert option! 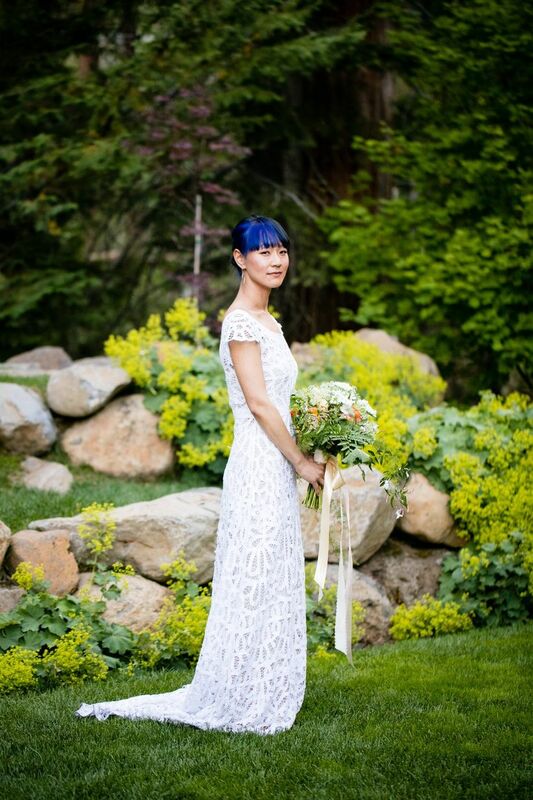 Instead of donning something blue, this bride dyed her hair! 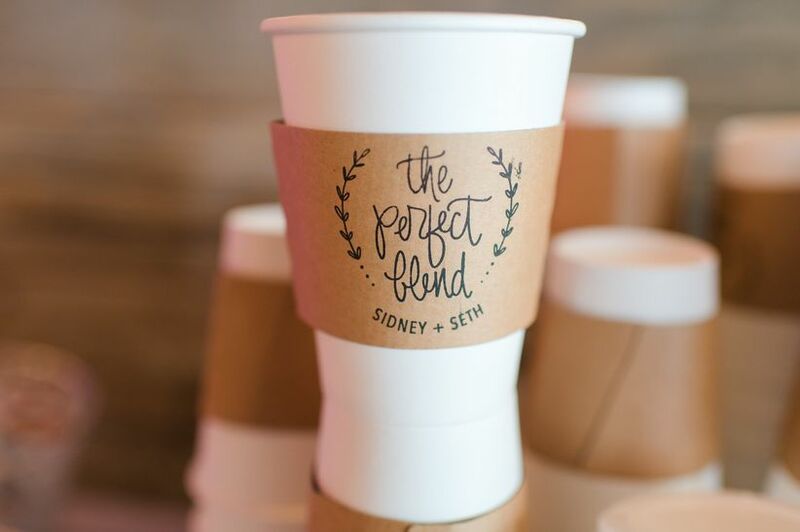 Coffee will give your guests added fuel for the evening—and is extra-nice to serve at cold-weather weddings! 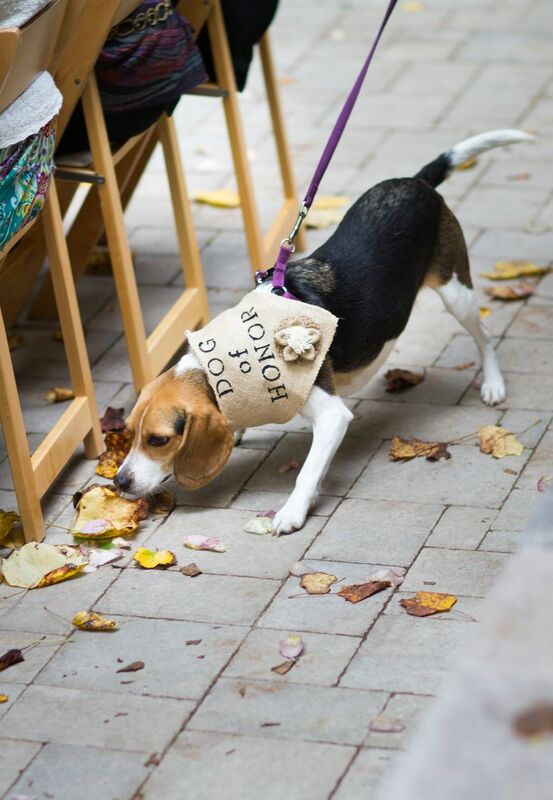 Why would you when you could have a dog of honor instead? !